During WW2 the Cafe de Paris on Coventry Street, W1 was the most glamorous nightclub in London. It was also considered the safest. Unlike other theatres, clubs and cinemas, the Cafe de Paris was allowed to remain open to inject some glitz into the Blitz. Four floors below London’s Leicester Square, fun-loving party-goers felt far removed from the realities of the war above their heads. The young and beautiful came to see, and be seen. Glitterati gathered with Royalty and Hollywood Stars to watch the finest musicians perform live. The nightclub - with a splendid interior recalling the ballroom of the White Star liner Titanic - was also a favourite with servicemen and women looking to enjoy their leave. 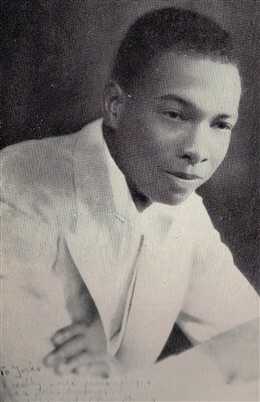 Guyana-born swing musician Ken Johnson and his band 'The West Indian Orchestra' were signed as the club’s resident swing band. Johnson was nicknamed ‘Snakehips’ Johnson due to his smooth dance moves. Saturday 8 March 1941 began like any other but ended in tragedy. As ‘Snakehips’ and his band took to the stage, revellers gathered on the dance floor. 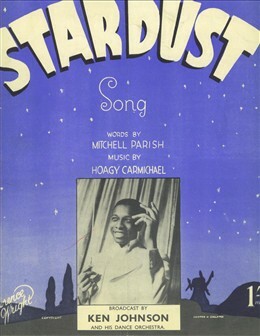 Before the band could reach their first chorus - of the contemprary hit 'Oh Johnny, Oh Johnny, How You Can Love!' - an almighty crash and a flash of light shook the building. Two German bombs had fallen through the Cafe de Paris roof and landed in the centre of the dance floor. At least 34 people died that night and around 80 others were injured, among them servicemen and women and most of the band, including ‘Snakehips’ himself. Had the bomb dropped an hour later, the casualties would have been far worse. For three hours, rescue workers combed the site by moonlight for survivors while air raid wardens chased off opportunist looters. Off duty nurses, there for a night out, demonstrated their resourcefulness by making bandages from their dresses and table cloths to help the injured. 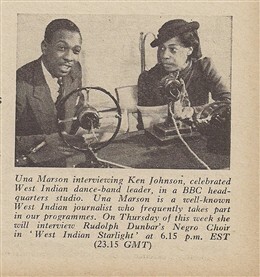 Ken ‘Snakehips’ Johnson, came to Britain from Guyana aged fifteen and was on his way to changing the British music industry. He was well-established throughout the UK due to his regular appearances on BBC radio and was famous by the time he was killed aged just 26. This page was added by Camilla Bergman on 18/08/2010. Thank you for mentioning the little known dance band leader, Ken "Snakehips" Johnson. I'm pleased you did not cause confusion by mentioning the dance band crooner Al Bowlly. Many people from the post war generation think that Al Bowlly was killed in the Cafe de Paris with Ken "Snakehips" Johnson. This is incorrect. Al Bowlly was killed on the night of 16/17 April 1941 when a parachute mine exploded in Duke Street at the junction with Jermyn Street where he had a flat. 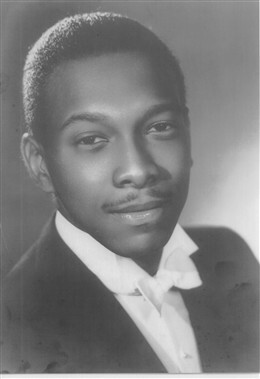 The confusion over his death has been caused by two events. Firstly, sheet music belonging to Al Bowlly was found in the debris of the Cafe de Paris. Secondly, just after the Cafe was bombed, Al met a friend who said they had dreamt he was there at the time. This has passed down and become regarded as "fact". Al's last recordings were made just a few weeks before he died. Both titles were almost propehtic. They were: "When That Man Is Dead And Gone" (a reference to Adolf Hitler) and "Nicky The Greek Has Gone" (most appropriate because Al was part Greek). Thanks for submitting your interesting comment, which adds to the information on this page. Very helpful and informative. Fantastic. Thanks for adding this. I first hear of Snake hips whilst reading a supplement in the paper. There was a rumour that his head was blown clean off his shoulders. Other reports say he looked serene, as though sleeping. The daughter of one of my father`s cousins, Matilda Florence May Hallett age 19, was in the Cafe de Paris on the night of the air raid, and was killed. Her details are on the CWWG site of Civilian Casualtied. With reference to Al Bowlly, the parachute mine exploded at the junction with Duke of York street and Jermyn Street. The great pity was that the Snakehips Johnson Band left such a small recorded legacy, only eight records (sixteen sides) in all. They do, however, show what a great band it was. I was born in Jan'41 and lived in New Cavendish St. Both my parents were part of the west-end music scene and I remember my mother, years later, recalling her experience of making her way along Coventry St in the immediate aftermath of the Café de Paris bombing and seeing evacuated victims lying on the pavement.I'm proud to be a "West-Ender"
My father,Joseph Hill,was celebrating his last night before being called up at The Cafe de Paris that night.He spent a year in hospital and was invalided out of the army.He recounted how he was able to survive the blast by being in the centre of the dance floor and being shielded by other dancers.Bottles of champagne and spirits were poured over him by survivors in an attempt to kill off germs.He lived for 87 years! Fascinating article and wonderful comments from local residents. Anyone know anything about the Embassy Club in Old Bond Street or anyone who worked there? Snakehips had been drinking there with friends before returning to the Cafe de Paris to start work that evening. His friends at the Embassy urged him to stay put as the bombing raid gathered force but he insisted on walking back. My mother-in-law Kathy Stobart played saxophone in her first husband's Art Thompson's resident band at the Embassy - but not until February 1943. She was just 17 at the time. Have just listened to a Radio 4 programme today about the swing jazz scene in London. I didn’t catch it’s title but it did mention John Snakehips Johnson. Brilliant to hear his story and was so sad to hear if his tragic death. In the 80s I used to go to Cafe de Paris and thought I knew it had some interesting history we didn’t have the internet then do finding out so much more now. I love the fact that when one of the survivors from the band was taken out on a stretcher he apparently called out “At least I didn’t have to pay for dinner.” I was also excited to realise amongst so many performers at the club over time was Marlene Dietrich. I had the weirdest experience of meeting a woman and her child on a train to the far south of Italy who said very believably she used to be Dietrich’s cleaner! Life can be so bizarre.? ?